Make no mistake, opportunity has indeed knocked on your door ! Here is your chance to secure this “Brand New” beautiful two level family home, positioned on a freehold section. 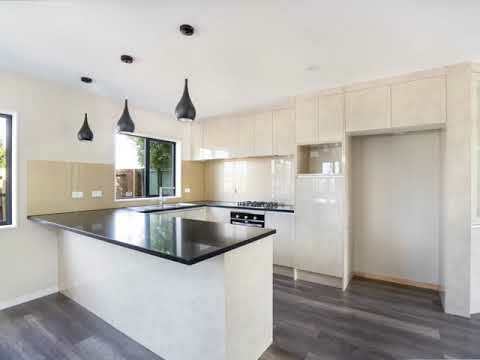 The kitchen has ample space for the chef of the family along with stone bench tops and Gas hob which are perfect for cooking up a storm for your dinner guests. An open plan dining and living area which leads out on to the fully fenced private entertaining area. The clever floor plan is both easy and versatile allowing for every families requirements. Downstairs the home boasts one bedroom & bathroom. A designer kitchen with open plan Living and dining and internal access single garage. As you head upstairs you will find four bedrooms, two bathrooms. The master bedroom featuring ensuite and walk in wardrobe. Double glazing to keep this home dry healthy. The location is handy to all local amenities including Train station. Motorway access is also nearby. For all your shopping needs either Southmall or Southgate shopping centres are within easy reach. Visit over the weekends at the open homes or Call Gary 027 60 40 50 4 or Iresh 027 45 30 333 now to arrange your private viewing.